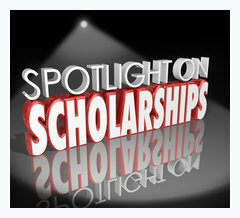 AFA is accepting scholarship applications to attend AFA University. To be eligible, the applicant must be employed by an AFA member in good standing at the time of the application and be registered to attend one of the AFA University schools. Please review the application for all eligibility and application requirements. The deadline to submit your scholarship application is 5 p.m. on Friday, Oct. 27, 2017. 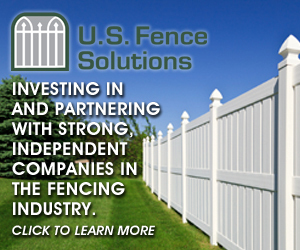 If you have any questions, please contact Cristina Rodriguez at (314) 561-6625 or cristina@americanfenceassociation.com. Graduate to the next level of your career in one week or less with AFA University. Our next session is Nov. 5-10, 2017, in Arlington, Texas and includes four schools and three certification exams to help fence industry professionals, both new and experienced, build professional success. We need your help to recognize AFA members who are deserving of the Ambassador, Distinguished Service or Hall of Fame Awards. 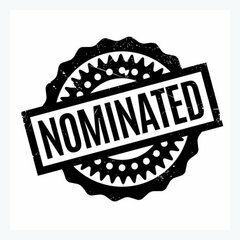 Please review our award categories, reflect on the past year, then tell us who you think is deserving – and why. Individuals can be nominated for more than one award as long as they have been an AFA member in good standing for a minimum of five consecutive years and meet a specific award’s criteria. Nominations are due by 5 p.m. on Friday, Dec. 1, 2017. Nominate Now. Texas811 and the Texas Workforce Commission announce a new training program: Underground Utility Damage Prevention. This training covers an overview of the utilities crisscrossing the state and how to avoid striking them. 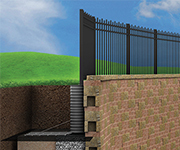 A special module for issues specific to fence builders is included. The training is free to companies of fewer than 100 employees who meet certain criteria. 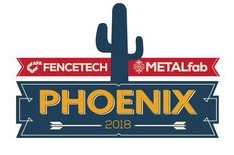 Registration for FENCETECH 2018 is now open. The schedule of events and education sessions is available online. Keep in mind that several activities begin on Tuesday, Feb. 6. Review the events and sessions and build your ideal FENCETECH registration package. 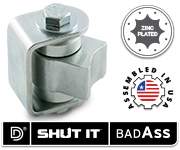 Hotel room blocks are now open for FENCETECH 2018. We encourage you to make your reservations now to guarantee availability and the special rate. Hotel information can be found here. Enjoy an 18-hole golf experience at the Raven Golf Course, presented by the AFA Education Foundation. The outing will include breakfast and lunch, and all proceeds will benefit the Education Foundation’s scholarship fund. Sponsorships and foursomes are available. More details coming soon. Please direct questions to Brad Howard. For the past several years, AFA members have donated time and materials to benefit a local charity in the FENCETECH host city. In 2018, AFA invites you to participate and help make a difference at the Ronald McDonald House. You can choose to donate your time by registering to participate in the Mission’s Event, which will take place on Wednesday, February 7, from 8:00 a.m. to 12:00 p.m. at the local house. The Mission’s Event will be an available event option in your 2018 FENCETECH registration. More details on the online wish list is coming soon. Join us for the Q4 meeting at the Martinez Gun Club featuring CPR/FirstAid Training and Certification and Trap Shoot on Friday, Dec. 8, 2017. Registration forms coming soon. Reserve December 2 for the annual holiday party at TopGolf! For more information and questions, please reach out to Sandra Tucker at info@coloradofenceassociation.com. The NE Chapter of AFA will hold its biennial trade show on Jan. 5-6, 2018 the Mystic Marriott Hotel and Spa. This is the largest trade show in 2018 on the East Coast and is heavily attended. On Jan. 5 there will be educational seminars, booth set up, and of course, the popular cocktail party. On Jan. 6 will be the trade show and educational seminars. Mystic is a beautiful coastal village and has many local attractions such as historic Mystic Seaport, the Submarine Museum at Groton and the hotel is located 20 minutes from Foxwoods Casino. If you are not registered with the NE Chapter and wish to attend please email jbranchini@hastiefence.com to be added to the email list. Please check with your accounts payable department to ensure they have the current address for the American Fence Association. AFA is still receiving numerous checks and correspondence addressed to our old suite number. The current address is 6404 International Parkway, Suite 2250-A, Plano, TX 75093. The Member Savings Program is pleased to announce new program partners. Get to know the new partners and how they can help you reduce operating expenses. 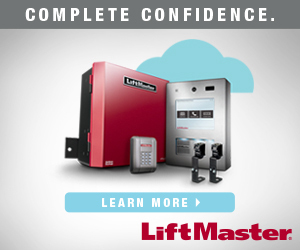 If you aren't currently participating in the Member Savings Program, now is a great time. To sign up contact Dan Pramis by phone at 603-628-2333 or email. Realize 15% savings on cloud-based telecom and improve operating efficiencies How complicated are your communications with vendors, partners, prospects and customers? Phone calls, faxes, emails, text messages -- it's a lot to handle. Plus, the days of sitting at a desk from 9-5 are long past: now, work happens at home, on the road and at client sites (in addition to the office).Quite simply, 20th-century telephony infrastructure can't keep up with the way we work today. If you're still using a clunky on-premise communications products, you're missing out (and you're probably paying way too much). Here are the five biggest benefits of modern cloud telephony (a.k.a. hosted VoIP or cloud phone systems). Which of these is most important to you? Simplicity, mobility,cost efficiency, flexibility, focus. 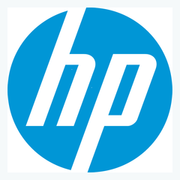 For savings up to 35% for both business and personal use HP offers you an incredible array of business grade equipment with special association pricing including: full size and mini-notebooks, laptops, docking stations, monitors, tablets, desktops, work stations, scanners, printers, toner and ink. Free shipping as well Discount levels vary based on product. Rotating monthly promos offer up even greater savings. Save up to 35% on your Orlando vacation! Orlando Employee Discounts offers exclusive pricing on hotels and vacation homes in or nearby Disney World and Universal Studios Orlando! We are also the largest wholesaler of tickets for Disney World, Universal Studios Orlando, Sea World, and all Orlando area theme parks and attractions. For savings up to 26% for both business and personal use Hotel Engine is a free and exclusive members-only hotel booking platform that connects Member Savings Program associations and their members to deeply discounted hotel rates. Top benefits of your membership include: 1) an average savings of 26% off public rates at 100,000+ hotels, 2) no contracts, annual fees, or spending minimums, and 3) superior 24/7, U.S.-based customer support. Advertising on the AFA website is a great way to reach member and non-member visitors and reinforce your marketing message. Visitors log on to americanfenceassociation.com to learn about upcoming association events, discover ways to maximize their AFA membership, and view the latest digital issues of Fencepost magazine and Across the Fence eNewsletter. The AFA website attracts 7,100 unique visitors per month and offers several cost-effective opportunities to position your company as a leader in front of an influential group of industry professionals. Contact Paul Walley for more information. 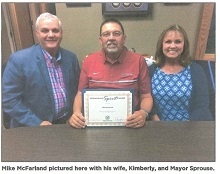 For those who are involved with the Springdale, Arkansas community, either through the school system, civic organizations, city government, or local business, then you know Mike McFarland. Mike is currently the co-owner of Modern Fence in Springdale, but he previously worked in banking for 39 and a half years before retiring. During his time in banking, he recognized the importance of community service. The Carolinas Chapter held its By The Sea 2017 Event at the Hilton Wilmington Riverside Resort. The participation was outstanding, and attendees had a wonderful time, winning prizes and dancing the night away.